Time tracking the effortless way. TimePanther is the simple, free, powerful, organized way to track your time. Easily track time directly from your web browser with a single click. Time keeping has never been easier. This is a TimePanther workspace. 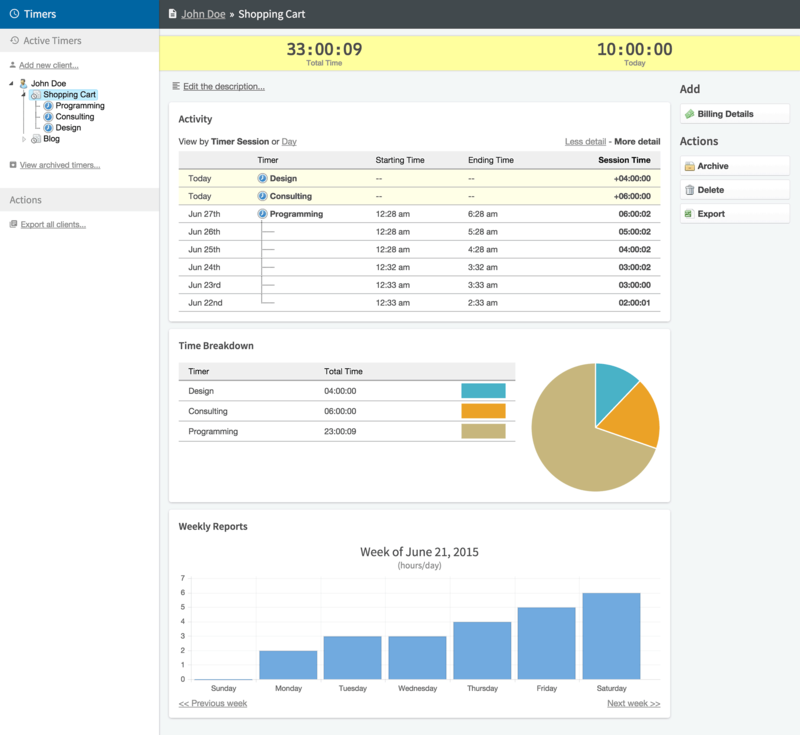 It's a dashboard of your timers, organized by project and client. Clock in and out with the click of a button, or enter your time manually. Review your time reports and money earned. Timers are automatically kept organized by project and client. Organize your timers by project and your projects by client. Easily reorder your projects and timers with the natural drag-and-drop interface. Timers keep record of your activity so you don't have to. Stay informed with automatic reporting that helps you see when you are working hard, and when you are slacking off. No more guessing how much time you've put in - with TimePanther, you can start timing with a single click, and stop with another.